Dark mysteries lay within disheveled puppets. Is there a better alternative to PuppetShow: Mystery of Joyville? Is PuppetShow: Mystery of Joyville really the best app in Adventure category? Will PuppetShow: Mystery of Joyville work good on macOS 10.13.4? PuppetShow: Mystery of Joyville...The puppet show in Joyville was once a wondrous attraction until the great fire. Now, rusted gears and dark mysteries lay within strange machinations and disheveled puppets. A young boy, Simon, is the most recent in a long line of missing people. 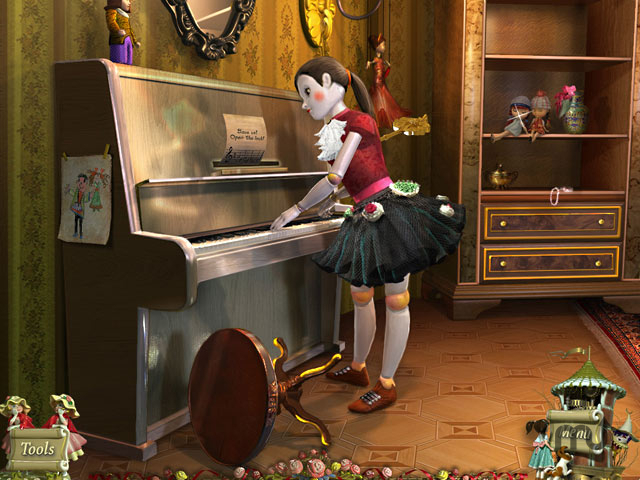 In PuppetShow: Mystery of Joyville, you are tasked with solving nefarious puzzles, finding hidden clues, and uncovering the dark secrets of a town that is anything but joyful. PuppetShow: Mystery of Joyville needs a review. Be the first to review this app and get the discussion started! PuppetShow: Mystery of Joyville needs a rating. Be the first to rate this app and get the discussion started!